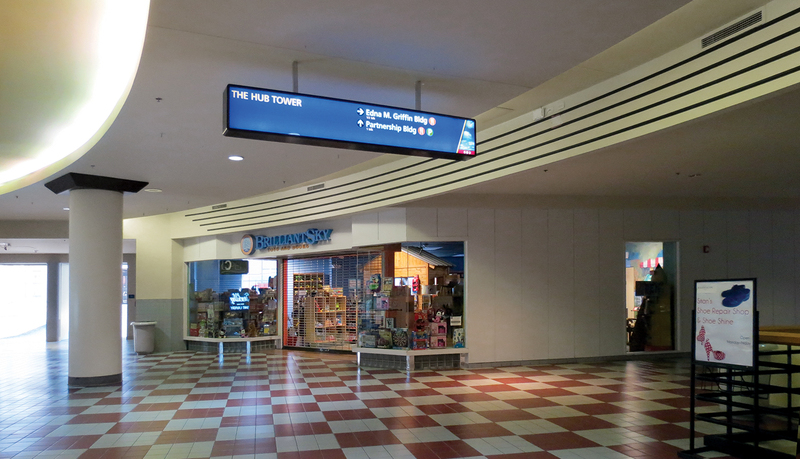 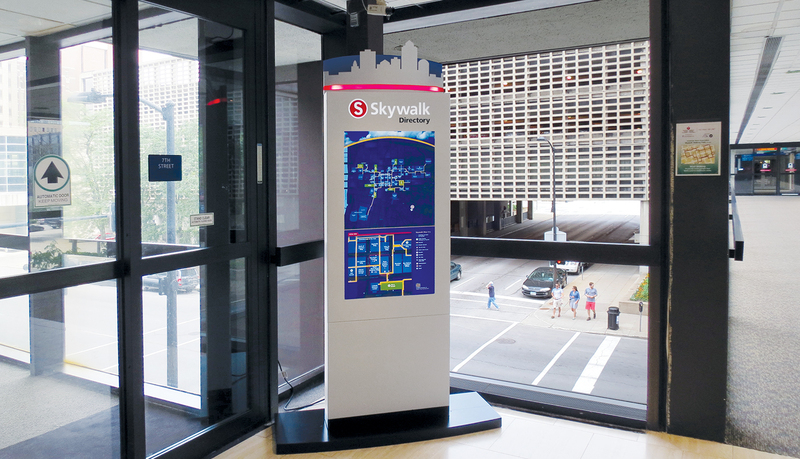 The City of Des Moines instituted a program to add a fresh face to its antiquated skywalk system. 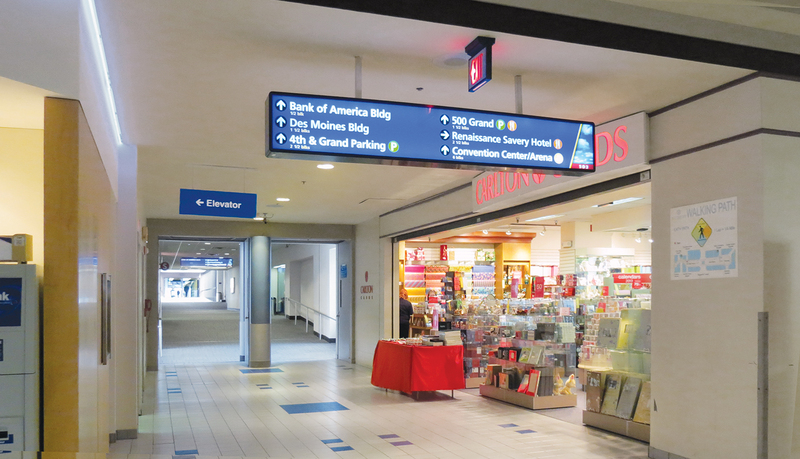 ASI, Iowa aided the Push Branding design team with wayfinding and ADA, as well as designing a product solution utilizing LED energy efficient technology for illumination. 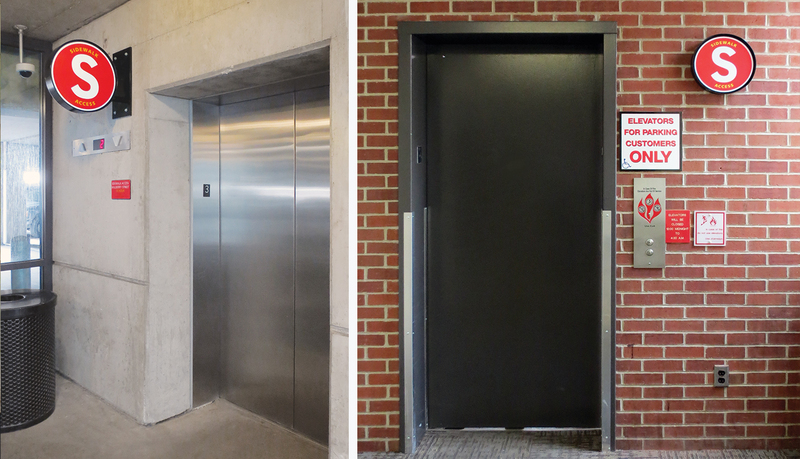 ASI, Iowa provided assistance in choosing durable, vandal resistant finishes and materials to withstand the rigors of the public spaces. 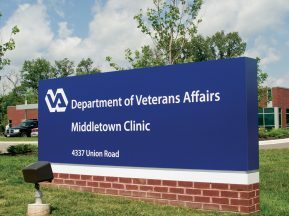 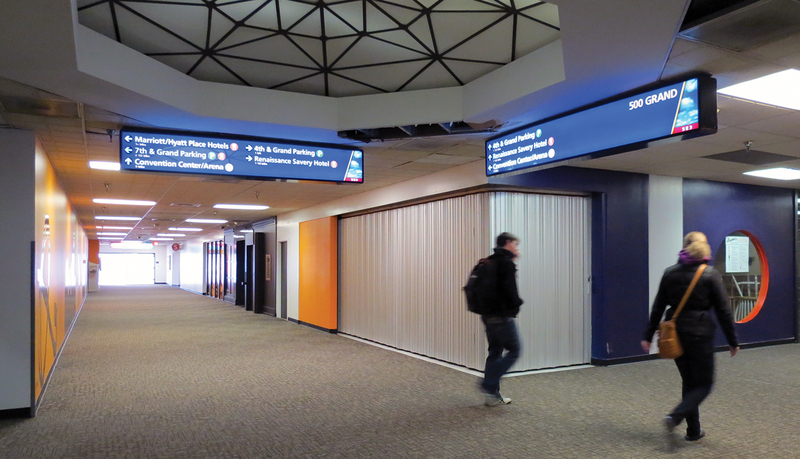 Energy efficiency, low maintenance and easily updatable graphics were also important considerations. 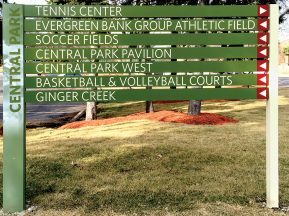 The directories were designed to accommodate digital technology in the future. 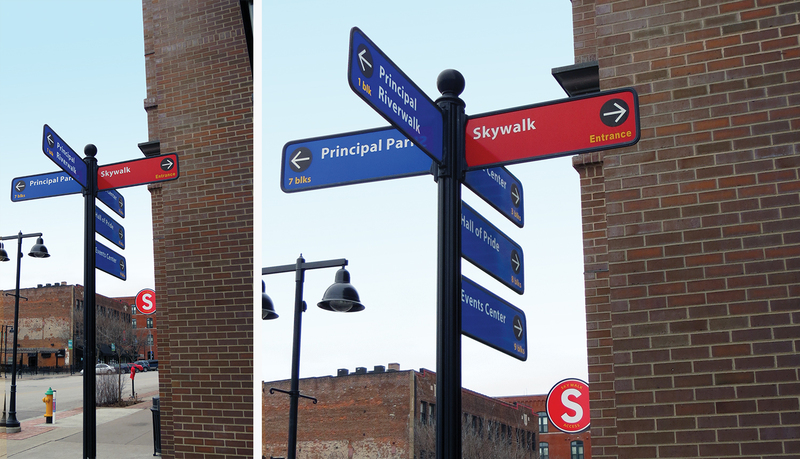 Partnering with Push Branding and the City of Des Moines, ASI developed an interior wayfinding solution that replaced an existing wayfinding system. 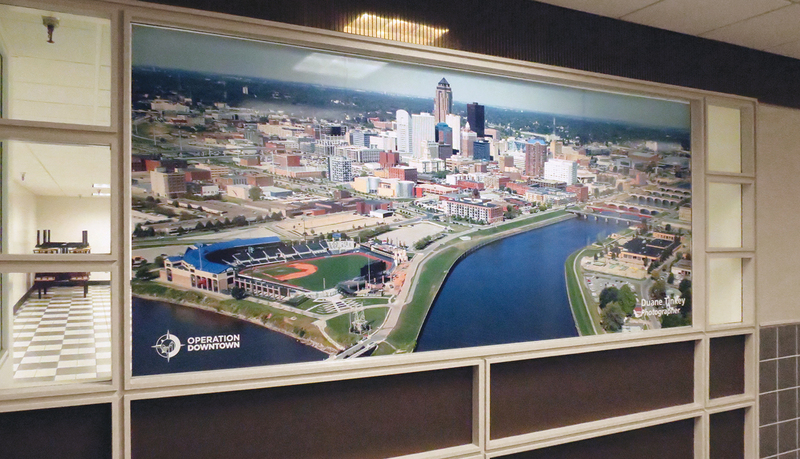 ASI, Iowa utilized new LED energy efficient light boxes and directory cabinets to replace old florescent technology. 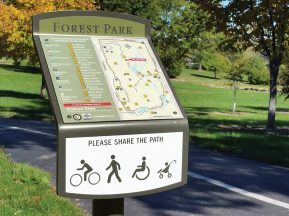 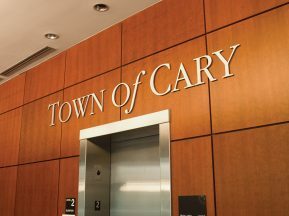 The directories contain digital print illuminated maps that are easily updatable and the cabinets are built to accept digital touch screen technology in the future. 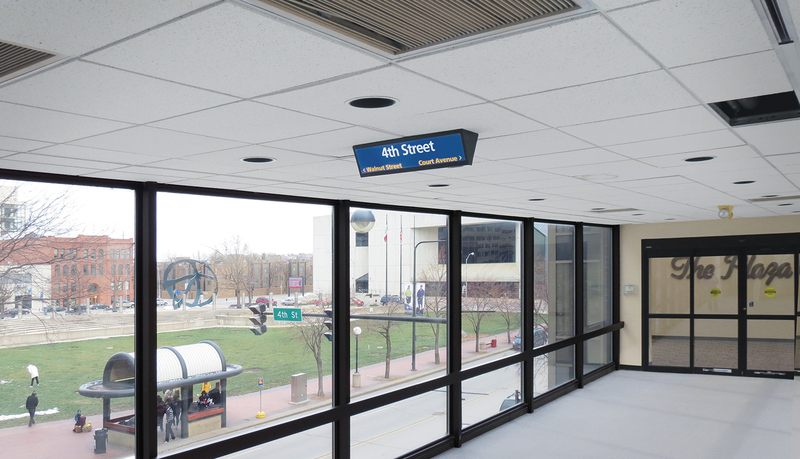 The overheads contain directional information for various points throughout the skywalk system that connects the entire downtown area via a system of climate-controlled bridges. 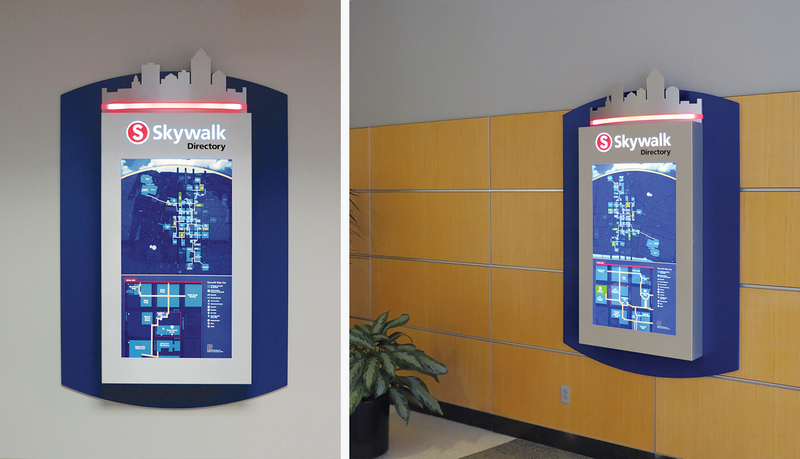 There are over 52 directories both wall mounted and freestanding kiosk style and over 100 ceiling mounted overheads. 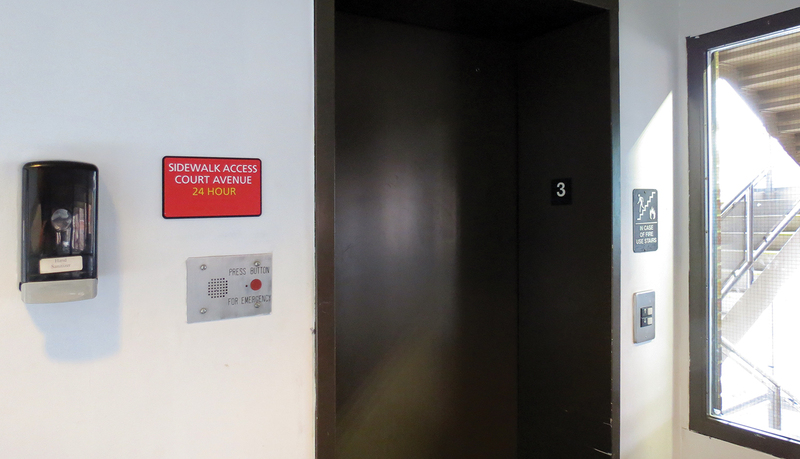 There are also over 30 InTouch™ ADA plaques Identifying each building entry as well as skywalk identifiers.